Kosmoceratops richardsoni is another incredible, new specimen found in Southern Utah's prolific Kaiparowits formation, where teams of scientist are making incredible new discoveries even as we speak. A spectacular example of a the diverse ceratopsian fauna which browsed the coastal plains of Laramidia 75 million years ago it most likely traveled in thundering herds. 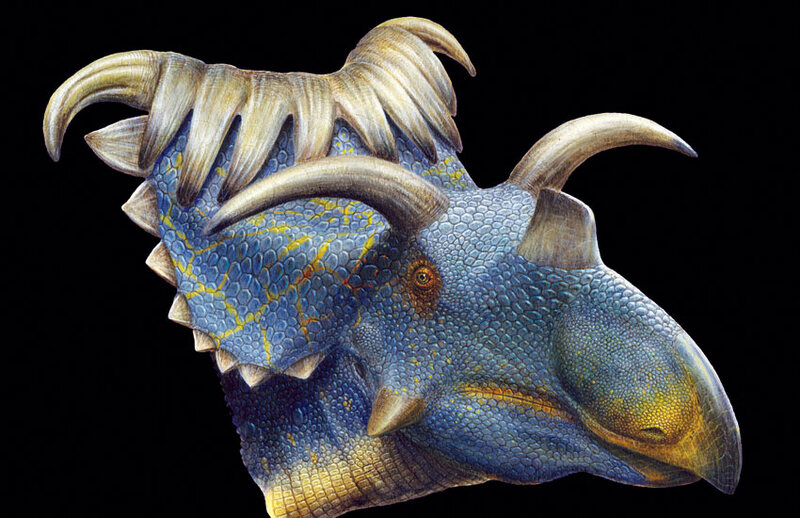 With 15 horn-like features on the frill and horns, this species had the most ornate skull morphology of any known dinosaur. Other related specimens for displays: Terataphoneus curriei adult, Terataphoneus currie juvenile, Utahceratops gettyi, Deinosuchus sp.